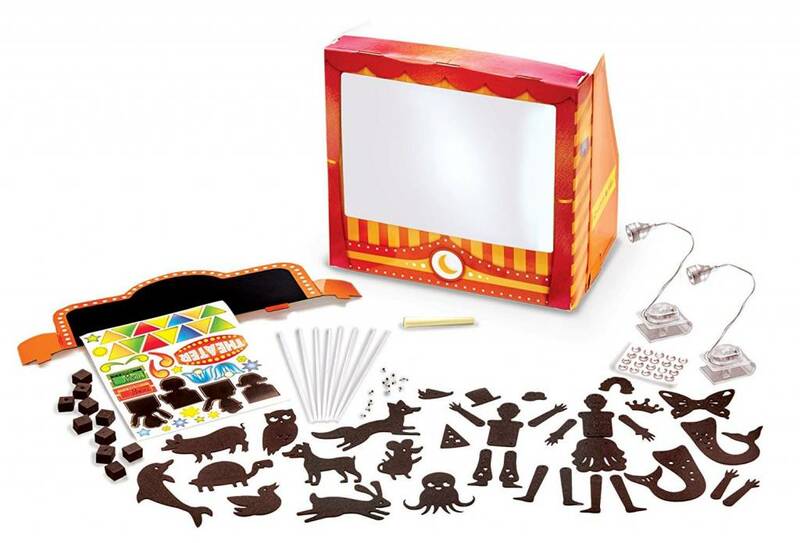 Classic play with a fun new twist! 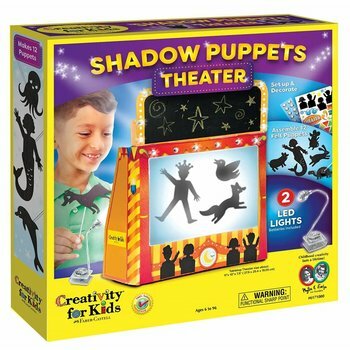 using light and shadow to tell a story, the shadowbox theater is a new take on traditional puppet theaters. 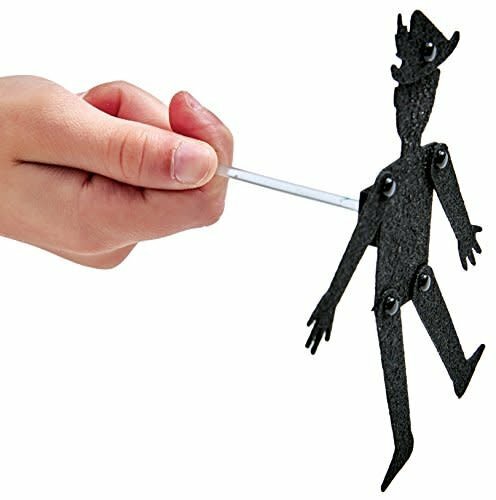 Puppets are customizable with movable legs, arms and interchangeable accessories. 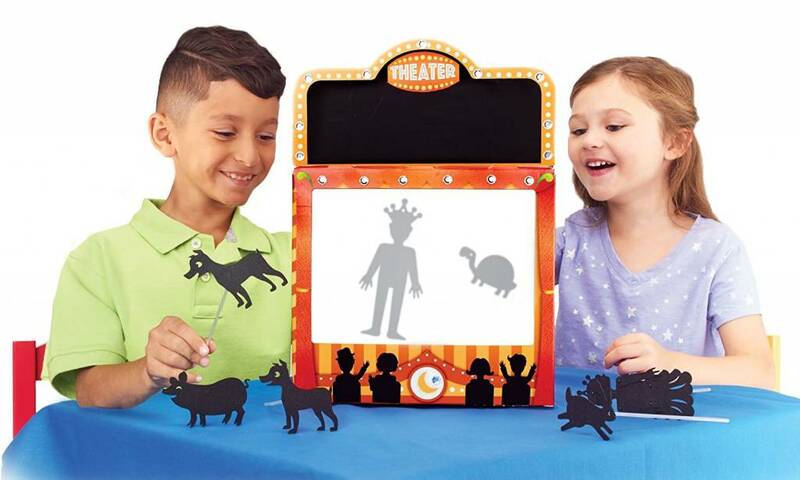 Personalize your theater with stickers and a re-usable chalkboard marquee. 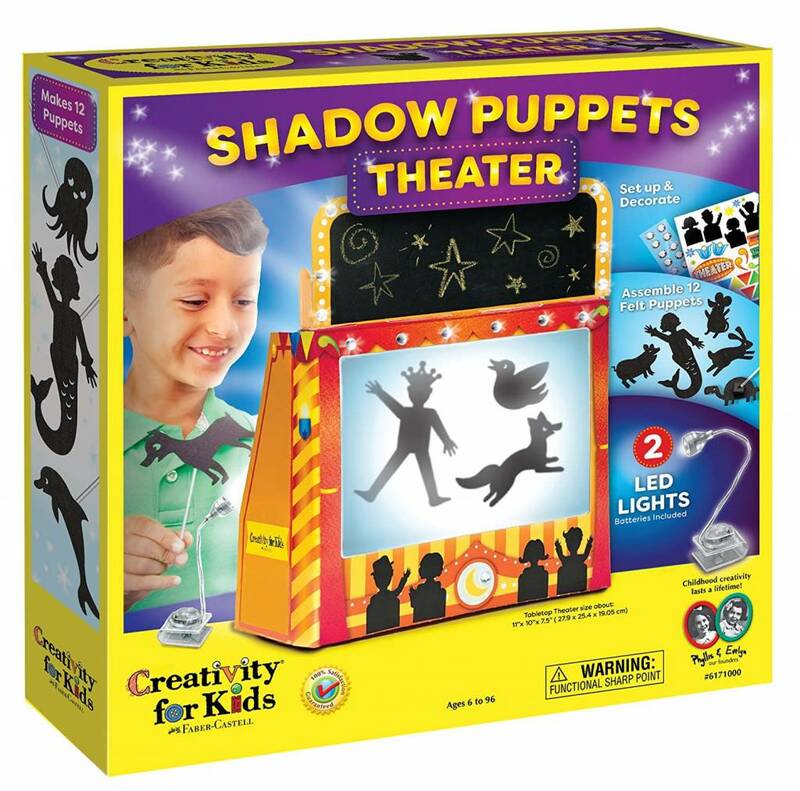 Â includes everything you need to put on a show: sturdy cardboard theater, 2 led clip-on lights (batteries included),12 customizable felt puppets, puppet sticks, stickers, rhinestones, chalkboard marquee and chalk.